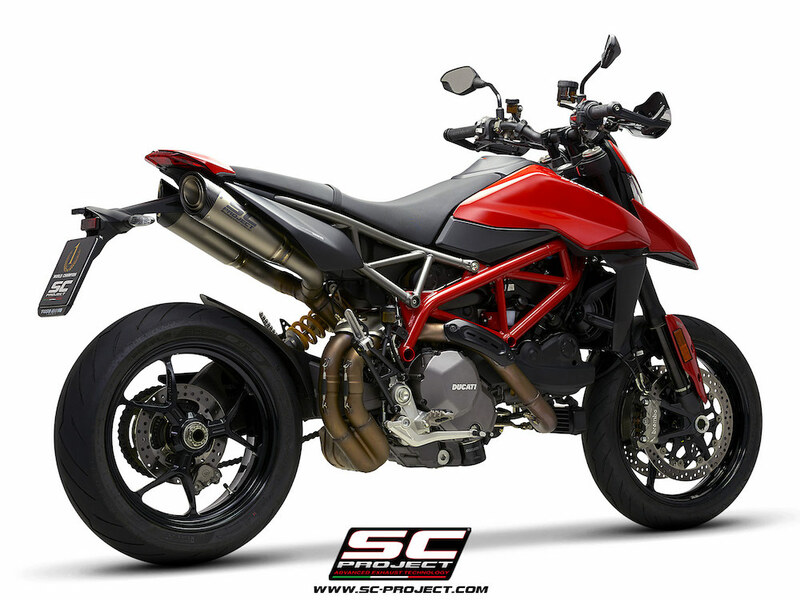 Have your Ducati Hypermotard 950 / SP look and sound as it should from the factory with this beautifully designed SC Project Exhaust Ducati Hypermotard 950 / SP S1 Silencers Pair 2019+ by SC Project. 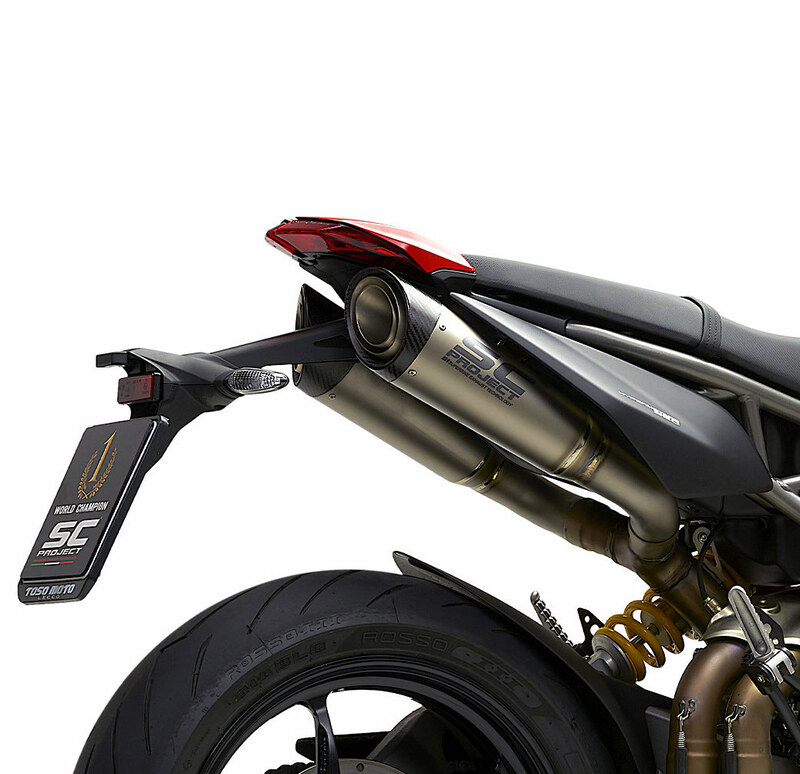 The S1 silencer, a benchmark for the Superbike World Championship, is available with a titanium tapered body and matt carbon fibre end cap and, depending on the model of motorcycle, with the spectacular titanium flame arrester on the output. 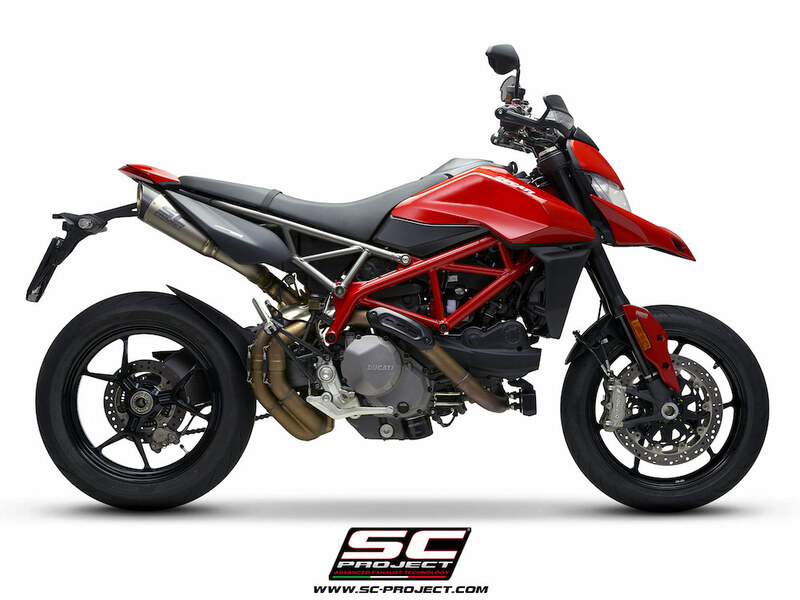 SC-Project – factory with the leadership in the manufacture of high-quality motorbike exhaust systems. SC Project is strongly settled in the racing world and this guarantees the final customer the highest performance without compromises. 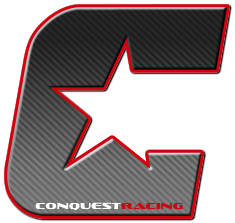 Sc-Project commitment in the racing world is set in a world contest in the championships of the highest level as MotoGP, SBK, Moto2 and Moto3 World Championship and in the most important motorbike Championships of the World.